The hero and heroine are both strong characters and yet they’re both running from their pasts and in desperate need of a new beginning. I loved their relationship and seeing how God brought healing to their hurts and hope to their hearts. There’s such growth in their characters, even despite the hardships that continually surprise them. There are several different POVs in this story – which took some getting used to at first – but I grew to care for each of the secondary characters just as much. And there’s a nice dose of suspense thrown in for good measure. ;) I read through the chapters very quickly. I missed the first book in this series, but I didn’t feel too lost reading the sequel. In fact, it only spurred me on to want to go back and read Irish Meadows too. Not every sequel has that effect on me, but this book did. I want more of these characters, this setting, the families – everything. This is one series I don’t want to miss and I hope you don’t either. This review is my honest opinion. Thanks to the author and Bethany House for my copy. 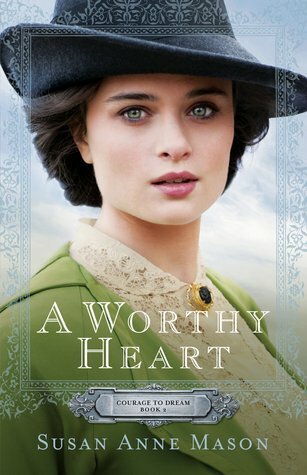 Sign into Goodreads to see if any of your friends have read A Worthy Heart.